1. Oakley AP 3.0 Bag. I know it’s not a camera bag. Honestly, I f%$king hate most camera bags. I’ve used some iteration of this bag since I was in high school. I’ve tried a million others and always end up coming back to this. I’ve concocted my own insert out of a Billingham Hedley bag that I use for some of the camera stuff if need be. 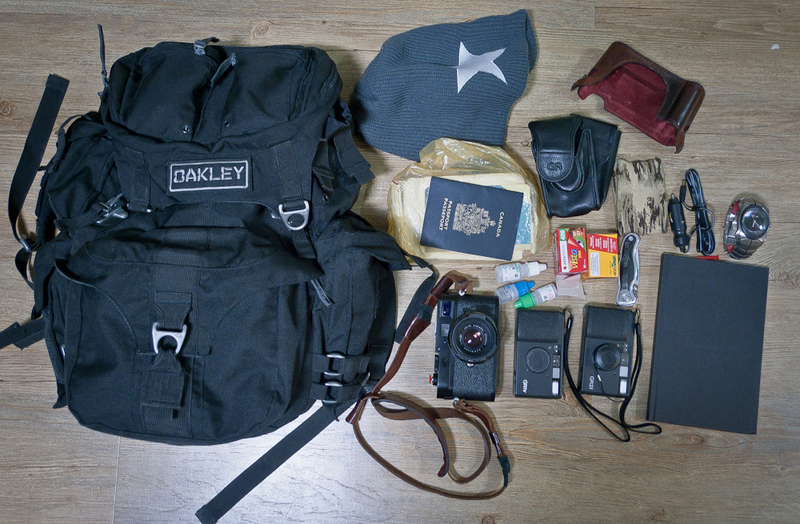 I occasionally use the Oakley Kitchen Sink if I’m going on a long trip. It came with me to Japan last month. 2. Clothes I usually carry some clothes in the bag depending on the conditions. Weather in Korea changes fast so I usually take a hoody and a wool cap. 3. Cameras The main camera is the Leica M9P, black. It’s a wonderful camera. 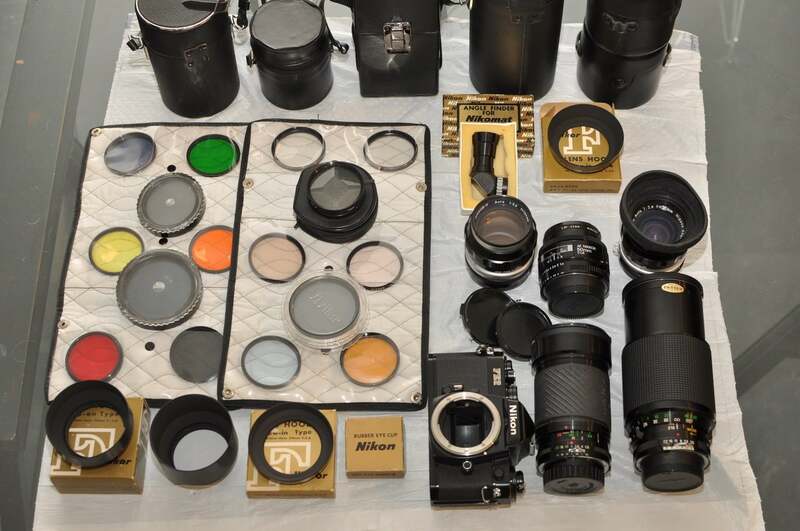 I never take more than one lens with me. These days the 35mm Summilux stays on most often. My all time favorite lens. I never use lens caps. My M9P has a bunny sticker on top that you can’t see, lol. It was featured on Photojojo and Seoulcamerastyle. Pictured next to the body is the Luigi half case. I rarely use the case unless I’m throwing the camera in the bag for a while. I also carry a small point and shoot as a backup to the M9. The usual cameras that I carry are a couple of Ricoh film cameras, the GR21 and the GR1V. I like the GRD series as well, and will for sure get the GRIV when it’s available in Korea. 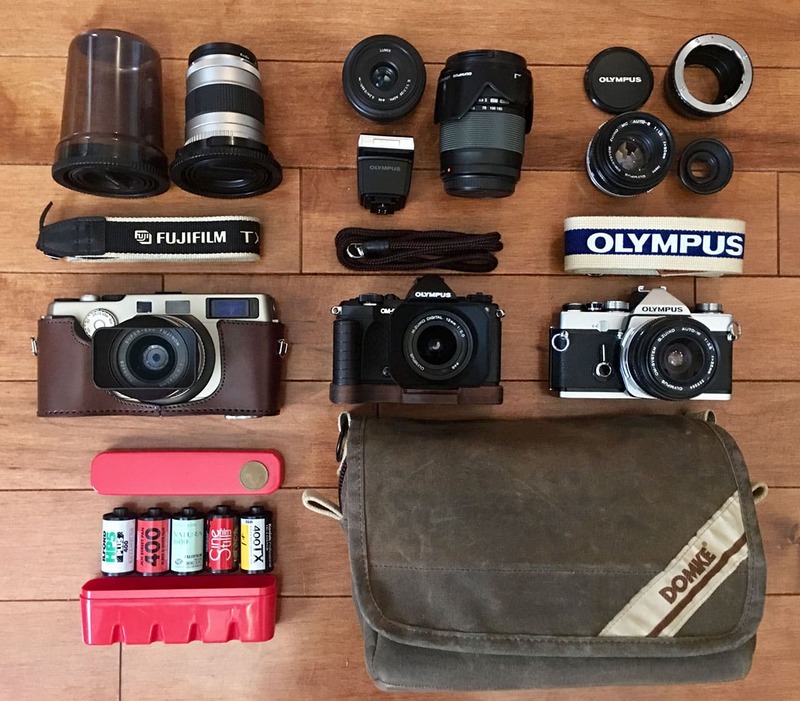 I usually bring a couple of rolls of film, colour and black and white. 4. Gadgets Pictured to the right is my watch which I never leave without. It’s an Oakley Time Bomb II limited edition. No batteries, works on motion, and is built like a tank. Expensive, but worth every penny (or 10 won, lol). There is also a pocket knife there which usually stays in the bag side from when I’m boarding a plane. It’s a leatherman something or other. You can also see some chargers there. I take some for my cameras, phone, and laptop (if I take it, it’s a 15 inch newest series Macbook Pro). There’s also an SD card reader. 5. Miscellaneous I also take my passport and other important documents. They never leave the bag and are always wrapped in plastic. I take eye drops, bandaides, a marker, and small notebook all the time as well. 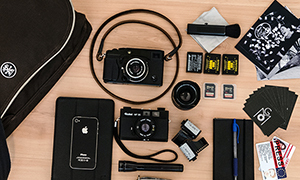 Usually take spare batteries for the main camera as well as extra memory. 6. Not Pictured Not pictured is my iPhone (which was used to take the picture) and my wallet. Neither usually stay in the bag. My laptop, a 15 inch Macbook Pro. Also, I have the SF24D Flash from Leica which I rarely use. 7. Video If I’m shooting video, I’ll take the Canon 7D (not pictured) with the 50mm f1.2L. I’ll also add a small tripod. I’ll sometimes take the 7D in lue of the M9 if the weather seamed inclement or if I feel the need to use it. Very rarely though. Oh, and he has a twitter too. 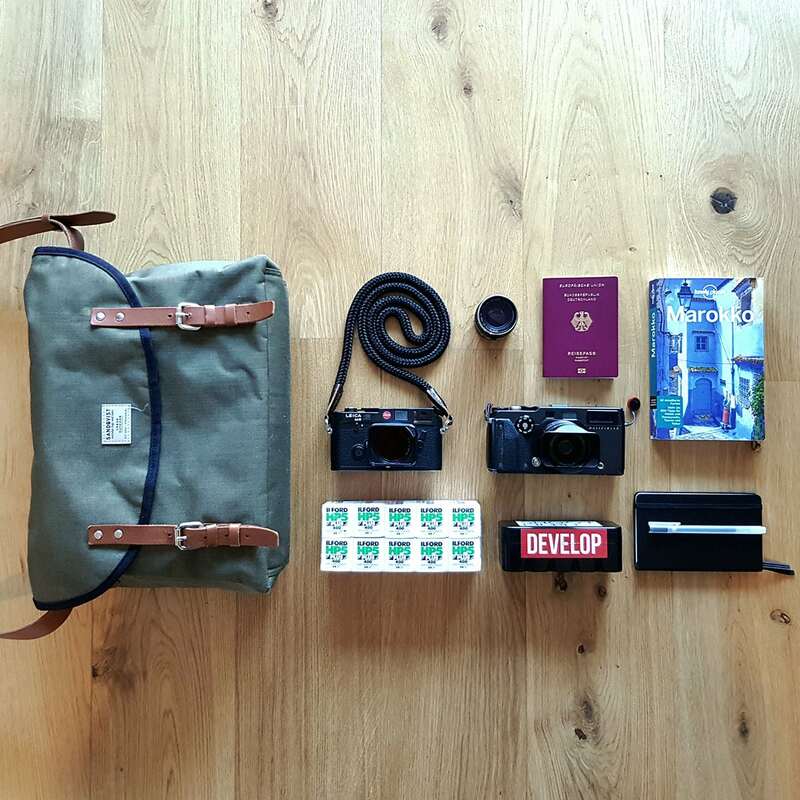 Thanks for sharing this unconventional bag with us Josh, I was surprised to see so much quality gear inside.